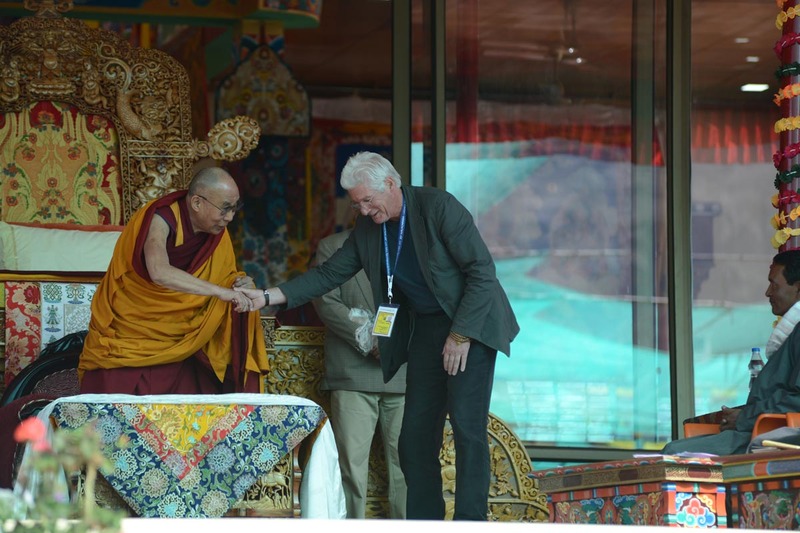 Hollywood actor Richard Gere shakes hand with Tibetan spiritual leader the Dalai Lama on his 79th birthday in Choglamsar, Ladakh, on 6 July 2014. 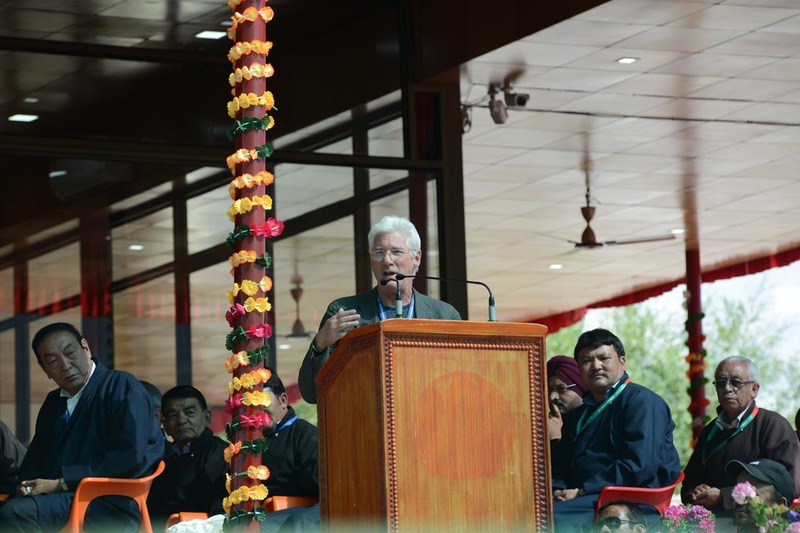 Hollywood actor Richard Gere speaks to extend his wishes to Tibetan spiritual leader the Dalai Lama on his 79th birthday in Choglamsar, Ladakh, on 6 July 2014. 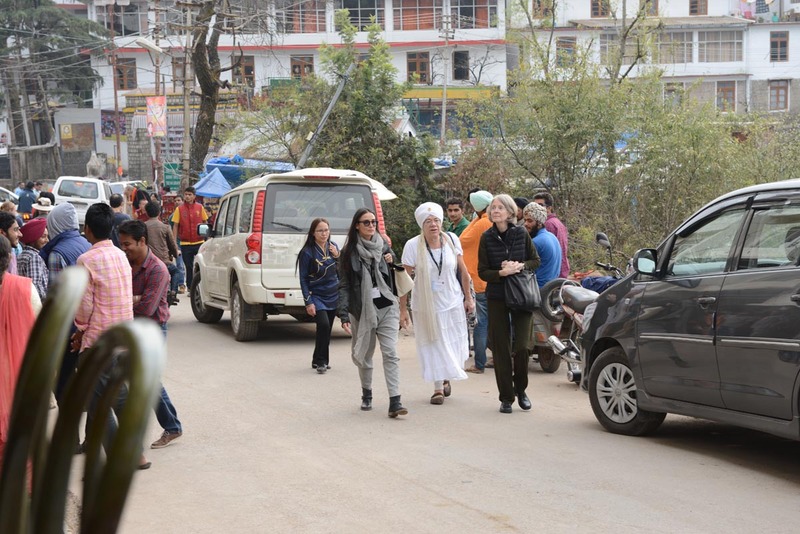 Hollywood actress Demi Moore (center) walks near the Dalai Lama temple in McLeod Ganj, India, on 28 October 2013. Moore attended the Mind and Life conference on Craving, Desire and Addiction held from 28 October to 1 November 2013. Hollywood actress Demi Moore covers her face to avoid being photographed ouside the Dalai Lama temple in McLeod Ganj, India, on 29 October 2013. Moore attended the Mind and Life conference on Craving, Desire and Addiction held from 28 October to 1 November 2013. 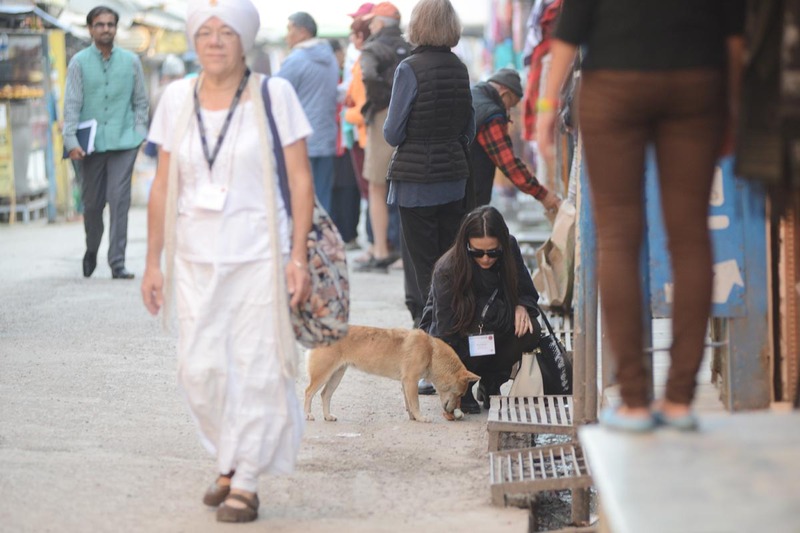 Hollywood actress Demi Moore feeds a dog in McLeod Ganj, India, on 29 October 2013. Moore attended the Mind and Life conference on Craving, Desire and Addiction held from 28 October to 1 November 2013. 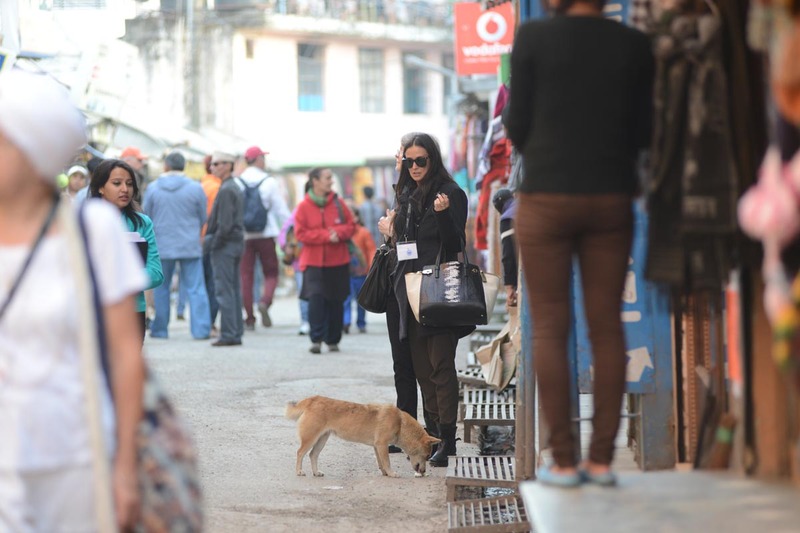 Hollywood actress Demi Moore looks on after feeding a dog in McLeod Ganj, India, on 29 October 2013. Moore attended the Mind and Life conference on Craving, Desire and Addiction held from 28 October to 1 November 2013. 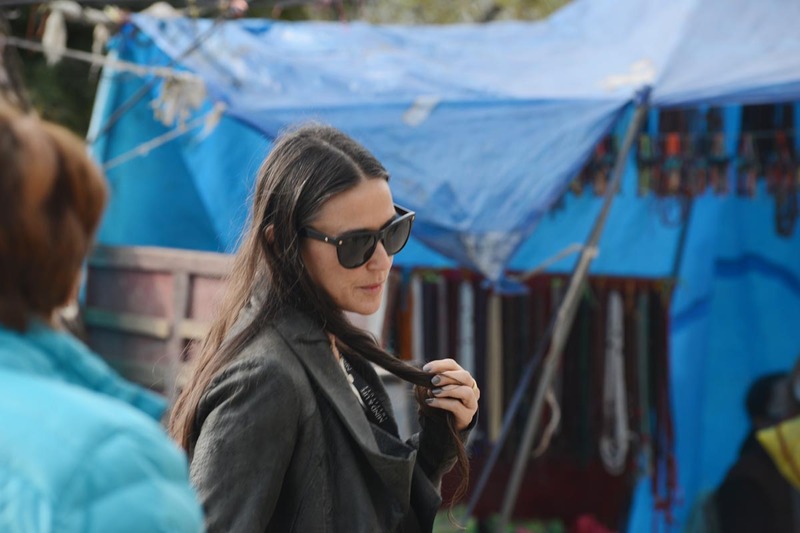 Hollywood actress Demi Moore walks near the Dalai Lama temple in McLeod Ganj, India, on 31 October 2013. Moore attended the Mind and Life conference on Craving, Desire and Addiction held from 28 October to 1 November 2013. 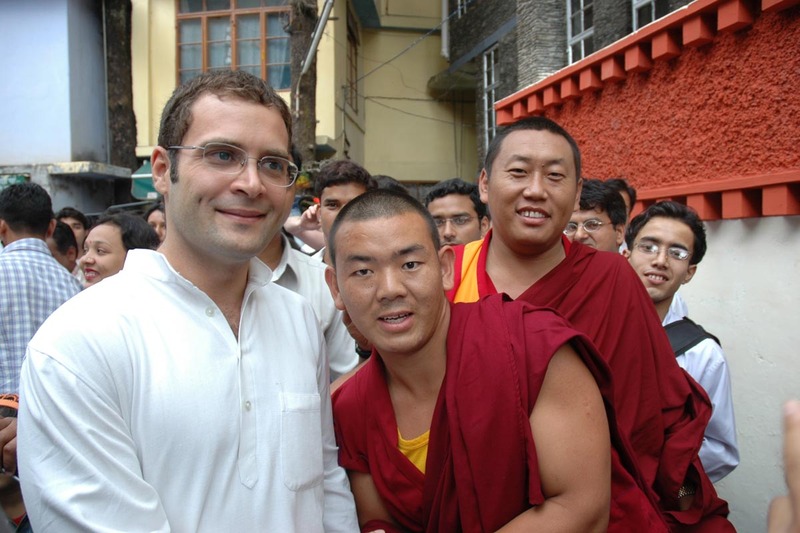 Congress leader Rahul Gandhi poses with Tibetan monks outside the Tibet Museum on 23 May 2006. 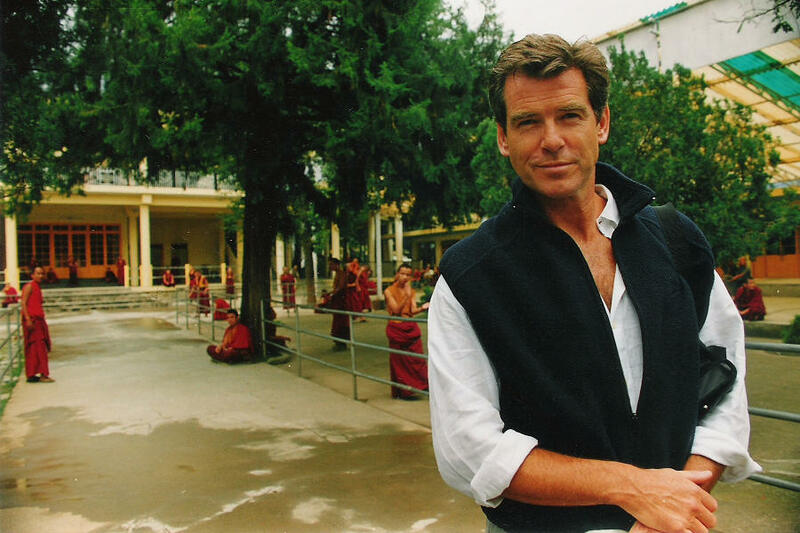 He met the Dalai Lama and the Tibetan Prime Minister Samdhong Rinpoche earlier in the day. 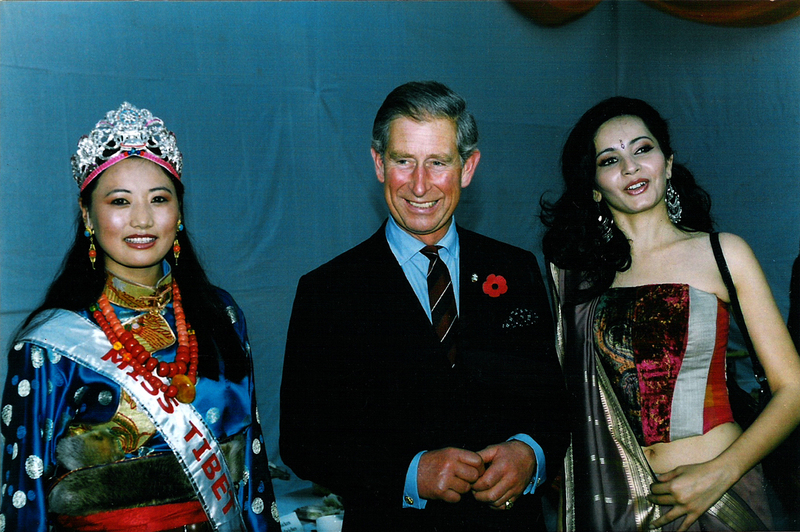 Prince Charles with Miss Tibet and Miss India runner-up in Delhi, India, on 29 October 2003. 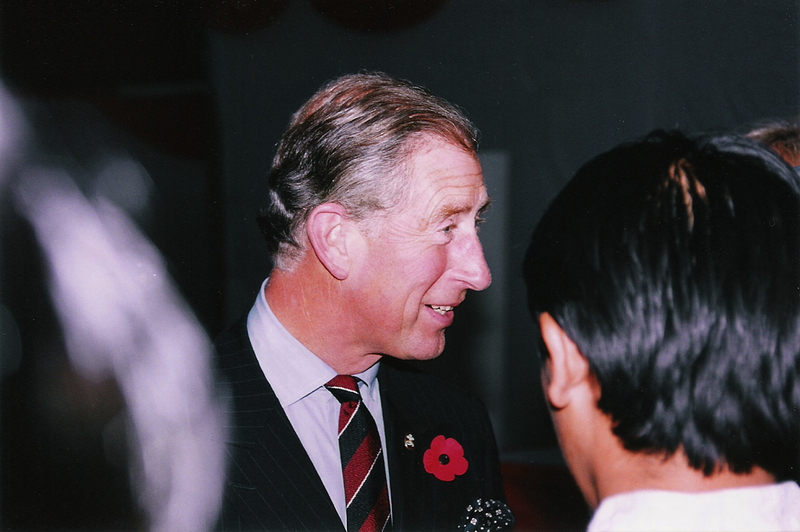 Prince Charles meeting with young Tibetans at the Tibetan camp, Majnu Ka Tilla, in Delhi, India, on 29 October 2003. 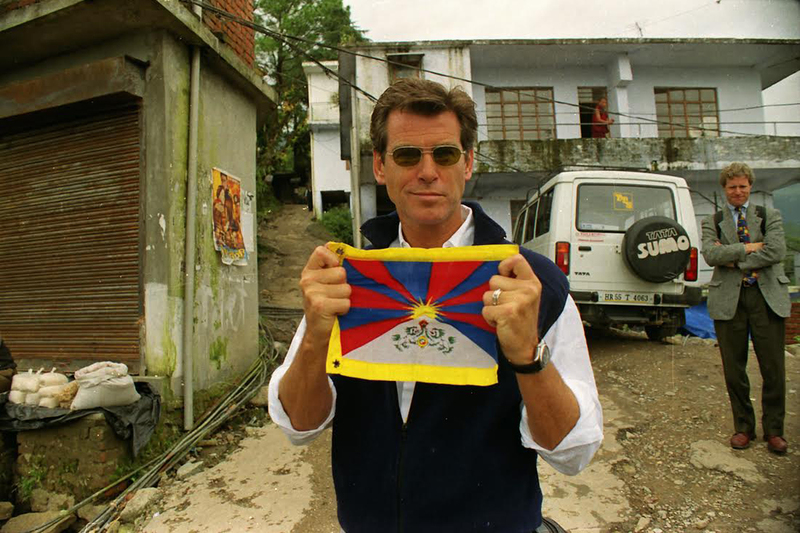 Pierce Brosnan poses with a Tibetan flag in McLeod Ganj, India, in September 2000. 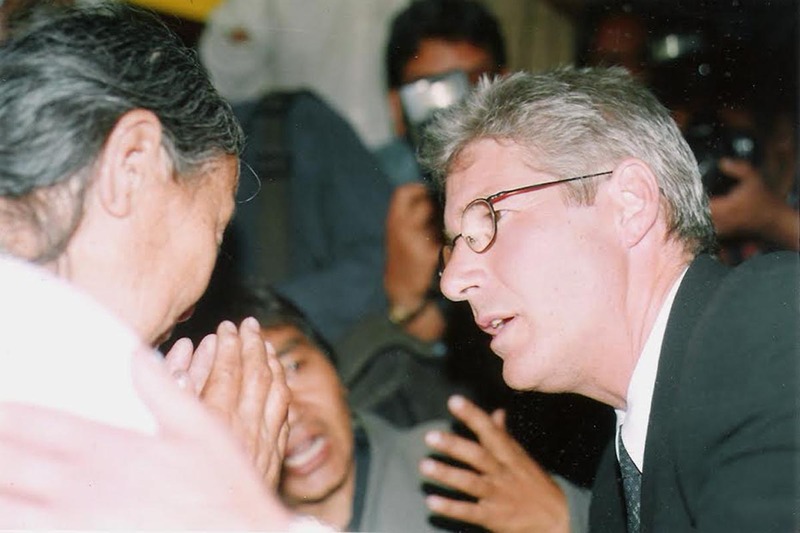 Richard Gere speaks to a Tibetan woman hunger striker in Delhi, India, on 23 March 1998. 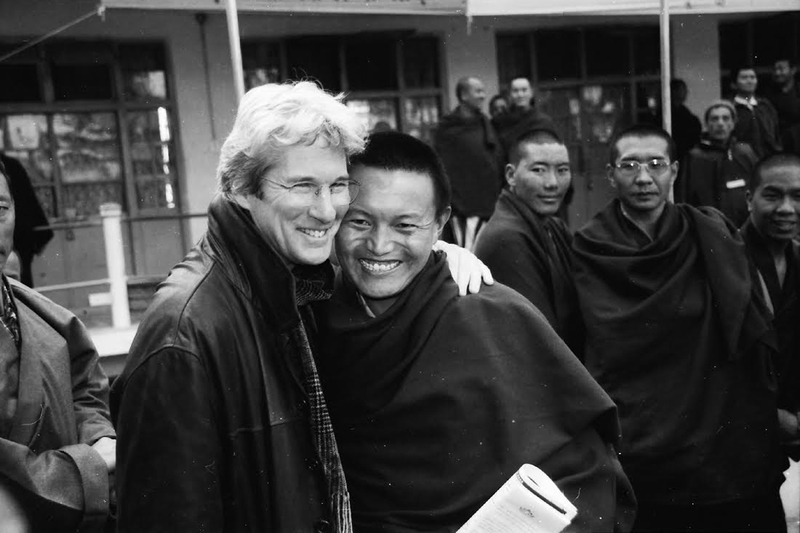 Richard Gere poses with Ven Bagdro at Tsuglakhang temple in McLeod Ganj, India, on 10 March 1999.